1. 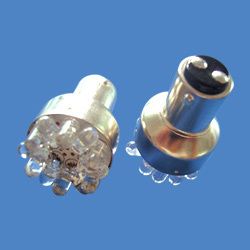 LED quantity: 12 pieces. 3. Low power consumption: 0.2 to 0.4W. 4. Large beam angle: 140 to 150°. 7. Long service lifespan: 50,000 hours. 8. Can be connected with 1157 wedge base which has two connecting points. 9. High brightness LEDs as light sources. 1. Universal design. 2. Green environment products. 3. Colors: red, green, blue, yellow and white. 4. Suitable for car decorations. 5. Energy - saving. 6. OEM orders are welcome. 7. Application: automotive inner decoration. 1. LED lamp with 1157 holder and easy DIY installation. 2. Suitable for automotive decoration. 3. High brightness, available in various colors.